Enrollment is growing at B-schools nationwide with students seeking international business majors as their ticket into the boardroom in today’s $107.5 trillion global economy. It’s a smart move because more companies are acquiring offices beyond borders to hike profits with multinational operations. According to the World Economic Forum, the globe’s fastest-growing economies are surprisingly Ethiopia, Uzbekistan, Nepal, India, Tanzania, and Djibouti with growth surpassing 7 percent each. International business degrees can be impressive résumé add-ons to work abroad, but finding the right B-school isn’t simple. After all, BachelorsPortal found that the United States has 408 international business programs for undergrads alone! Carefully searching for international business colleges is essential to assure the quality of education you’re investing in. 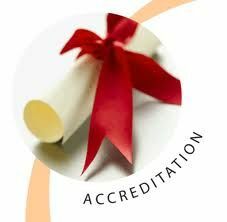 One of the best determinants of quality students have is accreditation. Institutions undergo routine reviews from accrediting agencies to prove their worthiness in meeting students’ academic needs. Regional accreditation is essential for B-school students to transfer credits, impress employers, earn federal financial aid, and pursue certifications like Professional in Business Analysis (PMI-PBA). Global business accreditation is a similar supportive badge that’s given only to business degrees from the bachelor’s to doctoral level to ensure industry preparation. Check with the U.S. Department of Education database to ascertain whether your international business degree is deemed high-quality with one of these three accreditations. Beyond accreditation, many factors can be used to measure the quality of international business education. The U.S. News and World Report creates its ranking of international business schools by conducting peer assessment surveys. Scores are given for indicators like graduation rate, academic reputation, retention, faculty resources, admission selectivity, financial aid, and alumni giving. Each quality B-school will explicitly outline their mission and rigorous curricula for pushing students’ learning. Class size can be another good determinant since more attention from esteemed professors will increase the quality of knowledge bestowed. Weighing accreditation along with the above quality markers determines whether an international business degree has a beneficial learning environment. This entry was posted in Frequently Asked Questions on October 27, 2017 by rebecca.